Perfume shopping is all about exploring new products and scents, but when people go fragrance shopping, playing with new scents is far from encouraged. People feel pressured to purchase an entire costly bottle of perfume or cologne, which causes them to stick to the scents they know and trust, leaving little room for discovering something new. 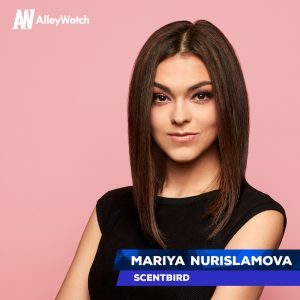 Scentbird, an online fragrance-shopping platform, is changing the way people purchase fragrances through its subscription platform. Each month, customers can choose a 30-day supply from over 500 designer fragrances and a scent recommendation algorithm allows customers to discover new scents that match their taste. The company has expanded its offering to now include personal care and home fragrance products. $18.6M in Series A. funding, led by Goodwater Capital, a next generation consumer technology firm, and joined by Y Combinator, Rainfall Ventures, FundersClub, Soma Capital, Scrum Ventures, ERA, and others. Tell us about Scentbird’s services. Scentbird is a monthly subscription service that inspires fragrance lovers to go beyond the ordinary and sample scents that evoke passion, confidence, and excitement. Our mission is to revolutionize the way you discover fragrance, by giving members the opportunity to choose from over 500+ designer and niche fragrances each month. We recently expanded our fragrance universe by launching a namesake line of personal care and home fragrance products. All paraben free, sulfate free, and cruelty free. What inspired you to start a fragrance company? We wanted to empower men and women to discover their next favorite scent online. After coming to the United States, I identified early on that the fragrance shopping experience was far from enjoyable – ranging from very confusing to outright intimidating at the more expensive stores and always quite pushy. As a result, the consumer doesn’t feel confident exploring and “playing” with different scents. Instead, they would either find one scent that they enjoyed and stick to it or they would stop looking altogether. That’s when we came up with the idea to develop a unique scent recommendation algorithm and visual search that would allow people to discover fragrances from the comfort of their home. Following that, we had to find a way to monetize it, so we launched our sampling program by way of a monthly subscription. We pride ourselves on being both a fragrance community and a subscription service. Subscribers are able to utilize our platform to help them find their fragrance-match by utilizing our “scent recommender,” add it to their queue, and try it out. Another aspect that sets us apart from other sub boxes, is the ability of choice. There’s no guesswork, you will always know what you’re going to receive in the mail. And, if you don’t know what you want next, we always share recommendations based on what fragrance notes you love most. Right now we are focusing on the US fragrance market, which is $14B. 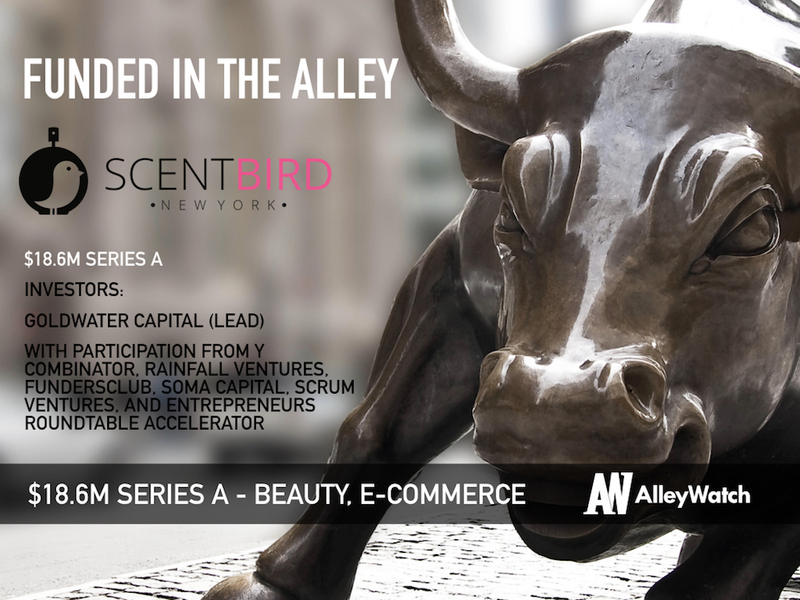 Scentbird is a subscription-based business (B2C). What makes NYC an ideal place to build an ecommerce subscription business? We built Scentbird with New Yorkers in mind. For a city that never sleeps, having the convenience of small luxuries is a must when always on the go. Being headquartered in NYC, we’re fortunate enough to always have our pulse on all the latest trends and easy access to our many brand partners. Raising a Series A is a bit of a roller coaster – fast paced, with unexpected twists and turns and plenty, plenty of adrenaline. 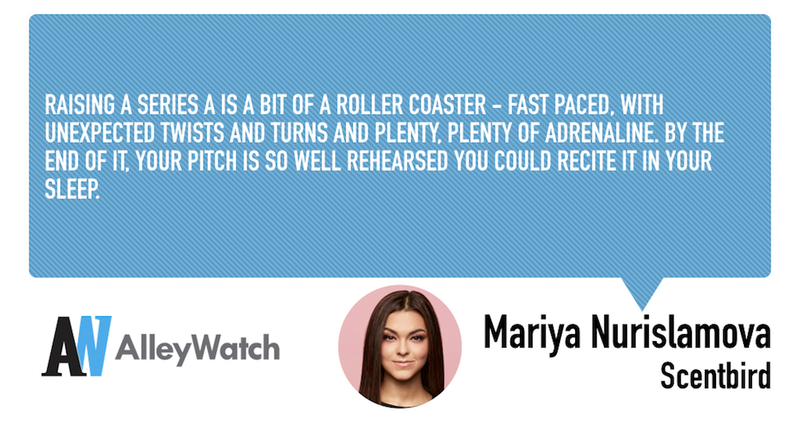 By the end of it, your pitch is so well rehearsed you could recite it in your sleep. It is a bit of a numbers game, but requires plenty of planning nonetheless. Throughout the funding process, it’s very important to craft the timeline carefully and stick to it – pitching certain funds too early or too late in the game could backfire because they might have a preemptive deal before you get a chance to test the market or come in too late to be able to complete their diligence. Both could result in your round losing momentum. Team. At the end of the day, businesses are run by people. Startups are very dynamic – they have to survive in changing market conditions, with constantly increasing competition and on limited resources. I hear it time and time again, that our strong vision and team are the major reasons why investors back Scentbird. In the next few months, we plan to expand our namesake line into new categories and also identify and implement synergies between Scentbird and our sister brand, Deck of Scarlet. We’re a scrappy company, so we don’t anticipate slowing down any time soon. Adopt a hacker mindset. You do not have to have plenty of cash in order to survive, but you must think outside of the box if traditional marketing mediums are out of reach. When the market is going right, go left. Do authentic things that don’t scale – handwritten notes, video responses to customer support requests, personal phone calls from founders to your best customers – this helps establish true brand advocacy and will create word of mouth – your best friend in scaling any business. I love Waverly Inn – it is super cozy and the food is phenomenal. Also, their truffle mac and cheese is to die for.